A fisherman in Dakar, Senegal is getting ready to make a trip that may kill him and his passengers. Assane Diallo will travel more than 1,600 kilometers across the ocean to the Canary Islands. He expects to bring many people with him. But he does not yet have enough gas to go the whole way. And his boat is made of wood and has a hole in the side. Yet making the trip is worth the risk, he says. There are too few fish in the ocean near Dakar for him to earn the money he needs. He can no longer support his wife and children. "It's hard to come back and bring nothing home," Diallo told the Reuters news service. "It hurts the heart, that's why I want to leave." Diallo is part of a new group of migrants who are planning to make the dangerous trip across the Atlantic Ocean. This group of migrants is aiming toward Spain's Canary Islands. Over 1,200 migrants have already arrived there this year. Most believe that, in time, they will be able to get to mainland Europe and seek asylum. Ten years ago, many more migrants – up to 30,000 – were able to reach the Canary Islands by boat. But in the following years the numbers were reduced. Spanish officials blocked the coast, and overland paths through Niger and Libya became more popular. 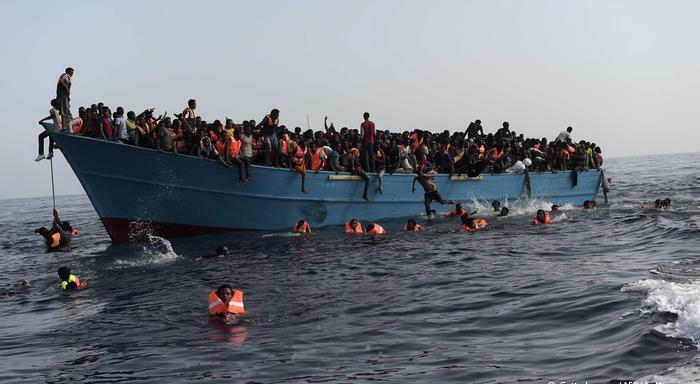 Now the European Union is working hard to block paths to Europe through northern Africa. So migrants are once again aiming their boats for the Canary Islands – even though they will face huge waves, painful heat, and possible starvation. Izabella Cooper is a spokeswoman for the EU border agency Frontex. She says that managing the flow of migrants is like squeezing a balloon. "When one route closes, the flows increase on another." But there is a solution to the problem, she adds. Stop the root causes of migration: wars and poverty. They no longer had him as a friend. Let me remind you once again so that you won't forget. I begged him to come back to England with me. 5.Now the European Union is working hard to block paths to Europe through northern Africa. You've been working hard all day. You need a rest. She might have been paraded as a woman who was working hard to change her ways. 6.A fisherman in Dakar, Senegal is getting ready to make a trip that may kill him and his passengers. Are you going to make a trip anywhere this year? Do you have any plan to make a trip to Yunnan after this programme?